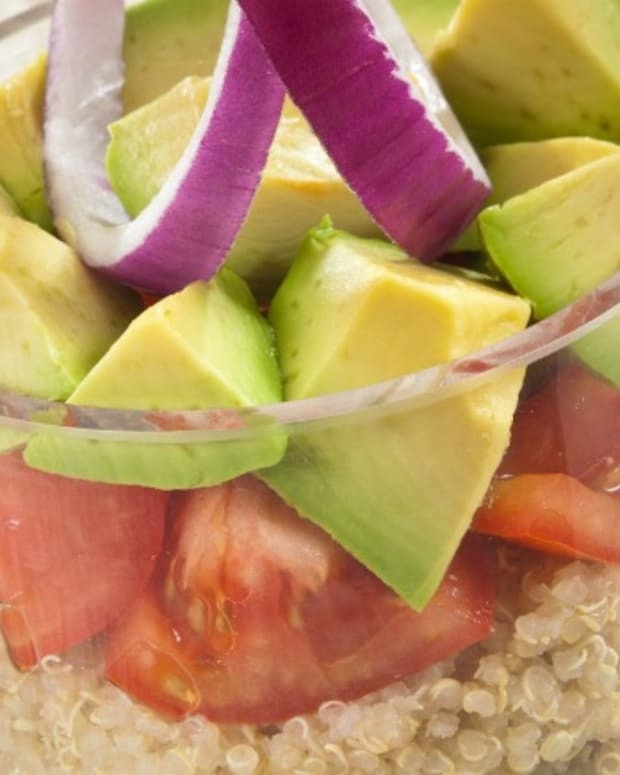 If you are looking for a great healthy lunch recipe for your holiday weekend, I’ve got a great simple salad that comes together in a matter of minutes. And….its got kick! 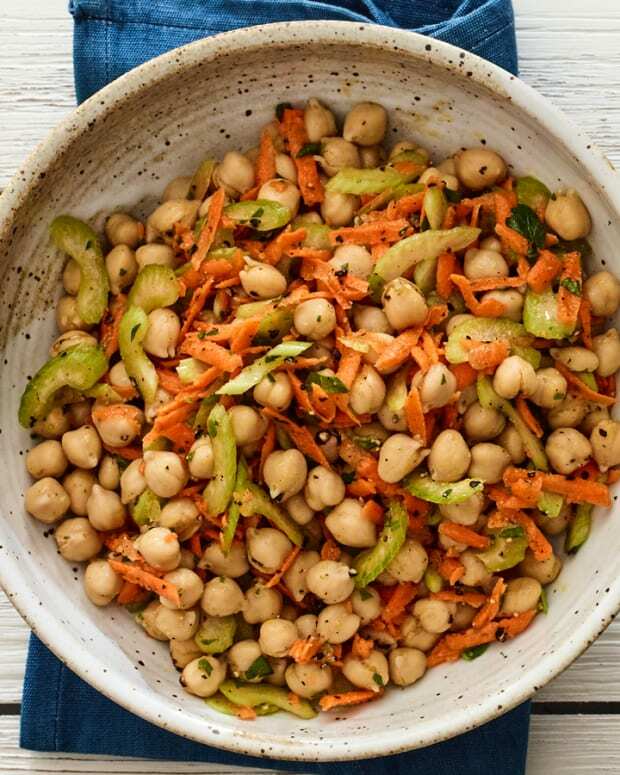 You know I love my food spicy, so this is defiantly going to be one of my go to recipes when I want to get lunch on the table quickly and don’t feel like heating up the house by turning on the stove. 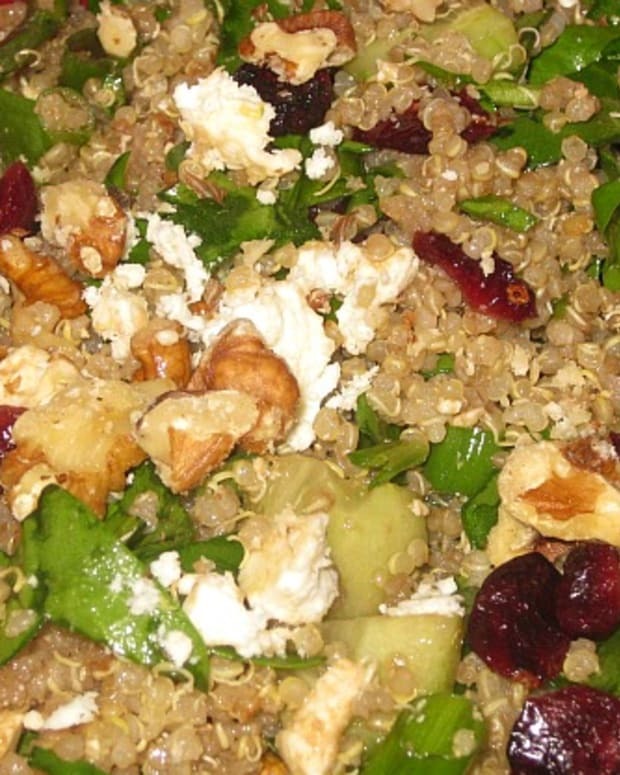 Recipes like this one are why I always keep cooked quinoa on hand. I also always have balsamic vinegar dressing on hand, but you can always used purchased dressing. 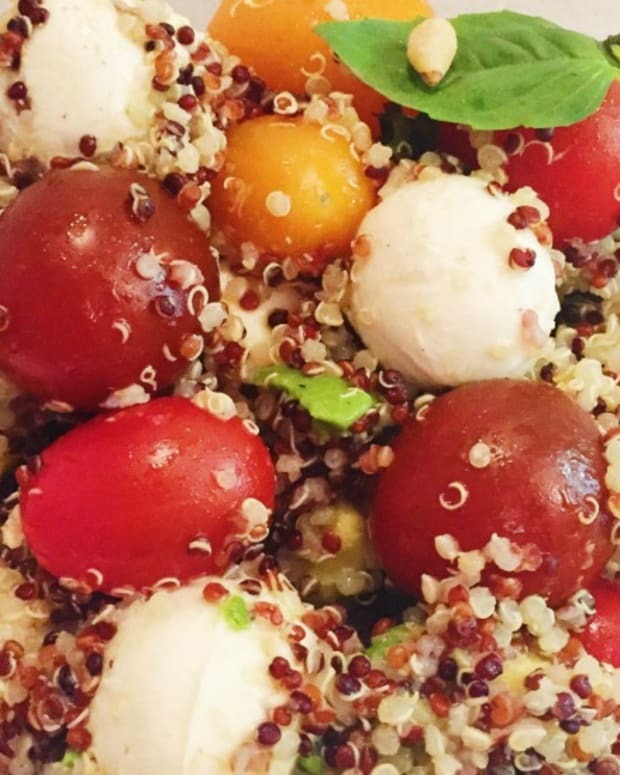 Since this quinoa recipe calls for you to kick up the dressing even a basic store bought dressing will yield a great salad! If you haven’t tried sriracha, you can find it in the Asian section of your grocery store. It’s not at all expensive and is perfect for heating things up! 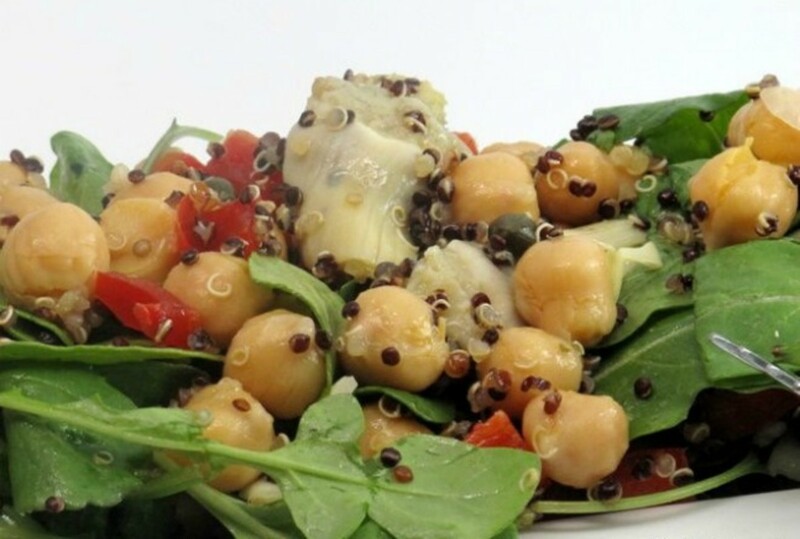 In a large bowl combine cooked quinoa, chickpeas, artichoke hearts, cherry tomatoes, capers and bell pepper. Add siriracha sauce to balsamic vinaigrette. 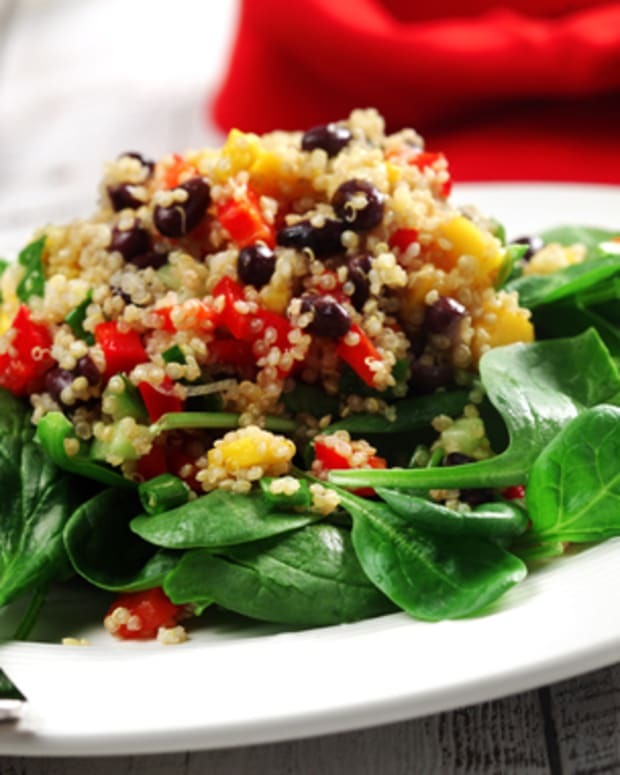 Combine quinoa mixture with arugula and toss with dressing. 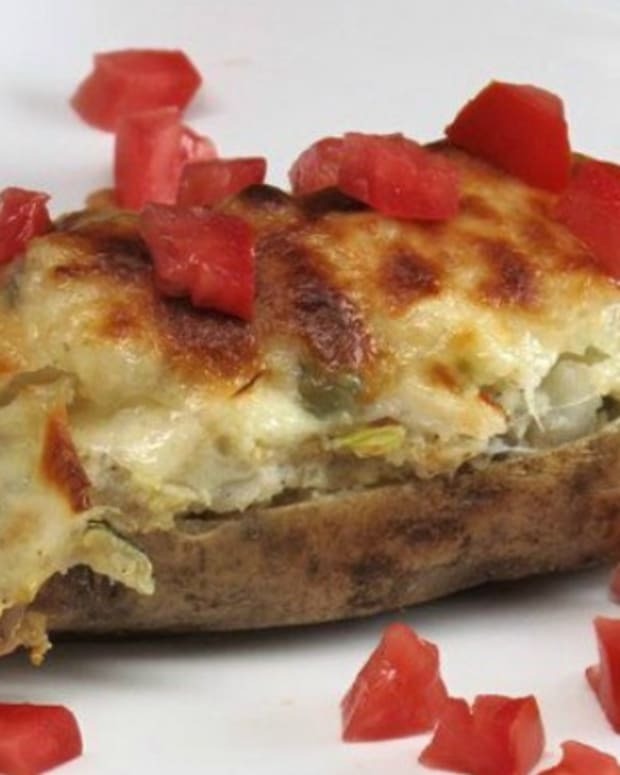 Top with feta if desired.